Teachers are encouraged to bring classes along to their local library so that children can join and change borrowed items regularly. 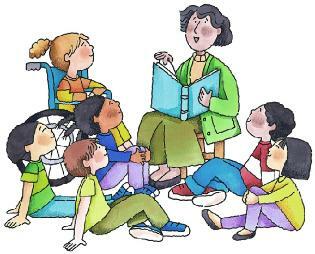 Class visits can also be arranged to focus on basic information skills enabling the children to find their way around the library and access information quickly and easily. Contact your local library to arrange a visit. Introduce the children to the library service, explain how it is used and the range of materials available. This session can be mixed with Story Time & Class Borrowing. Short Session where the class is told a story by one of our local librarians. If required this can be tailored to match a theme. Each class who visits the library may have a 'class card'. During a visit to their local library each member of the class may take out one book each. These books are on loan for a half term, when they can be returned by the class or a member of staff. Please note the books are to be kept in school at all times. Covering everything from the Dewey Decimal System to what else is available in the library. Let your class take part in the 'Library Challenge' or mix it with a Research Session for school projects. Includes a tour of the library. Ideal for encouraging children to use books instead of the internet for researching projects. Let us know what you are studying and we'll arange for a selection of books to be available at your local library when you visit. Using iPad technology, classes will have the opportunity to write, create and watch their own cartoons. Pupils will learn about writing stories, the basic ingredients of a story and carry out tasks that will result in them writing their very own story. Using Roald Dahls ‘Dirty Beasts’ for inspiration, pupils will write pieces of poetry, which may include some gobblefunk. Pupils will take part in a series of activities, encouraging them to work together to complete tasks. Please aware that booking need to be made 2 weeks in advance. If you are not located near one of our branches please contact the children's librarian to see about these activities being held at your school.